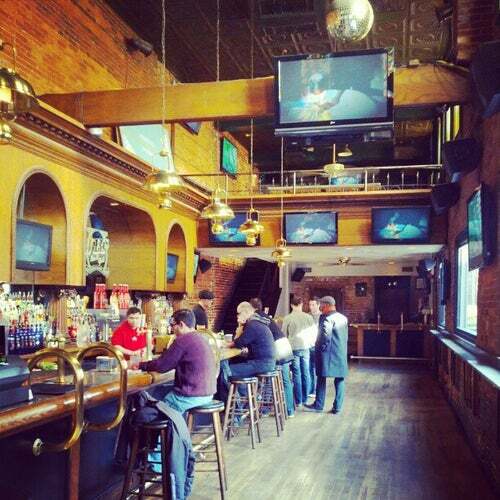 Great drink specials, campy videos, and friendly bartenders keep JR's packed with fun 7 days a week. If you're looking for a casual place for a drink, JR's is the place to go, right in the heart of the the primary gay hood. This is the place to play "pin the tail on the closeted Republican Hill staffers," who often congregate here. Near: Between P & Q Streets, N.W. For good or bad, this is one of the few DC institutions that has stayed the same for the last 20+ years. Always a sleuth of pretty status queens, but it's hard not to like the 2-for-1 drink specials (does Happy Hour ever end?) and SHOWTUNE MONDAYS! Late night crowd I guess. Sort of empty. Hard to order a drink, even when no one was there. A guy kept saying the people don't show up until late, and it was 11:30! Great inexpensive drinks and lots of hunks. Just moved here, been there several times. I am a decent looking dude too. The bartenders do not care who you are and it is not good to go alone. clicky and not a pick up bar at all. I would go back with friends but not alone. No place to sit so be prepared unless you want to sit alone on the upper deck where no one goes that I noticed. The bartenders are very entertained, you can talk to your friends and at the same time appreciate the music. Drinks are affordable. This is another decent bar in DC gay area, the main theme is music videos so if you like to drink, socialize a little (music is bit too loud to talk I felt so just smiling or winking at other guys might be better, ;-) hehee) while apreciating good music videos, this is a good place for you. I was there on 4-22 by invitation of a friend. Lots of fun for a Sunday afternoon..
JR's is Washington DC's most popular local bar. Its a neighborhood staple and in the heart of Dupont Circle! Went there on a sunday evening, was pretty packed and great deal $2 vodka and beer, so of course we stayed the entire night :) some friendly people to chat to, popmusic on tvs quite loud, not a bad night!